We are providing all type of plastic molding job work and we have rich experiance with our clients. Surface Finish: Spraying, Painting, etc. Tools Material: Metal, Aluminum, Bronze, etc. Owing to our principled business strategies and understanding of this business arena, we are immensely involved in providing Plastic Moulding Services. These services are credited due to their timely execution and cost effectiveness. Moreover, these services are provided beneath the supervision of trained personnel. Enriched with years of expertise in this domain, we are able to carry out high quality Plastic Injection Molding Services. The provided services are widely demanded by our customers for their exact execution and promptness. 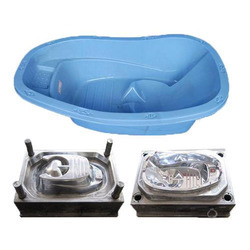 Leveraging on our affluent industry proficiency, we provide Plastic Component Molding Services. These services are accomplished employing the advanced techniques. In addition, our provided service is rendered in varied terms and forms that meet on customer’s demand. Moreover, we render this service at nominal costs.